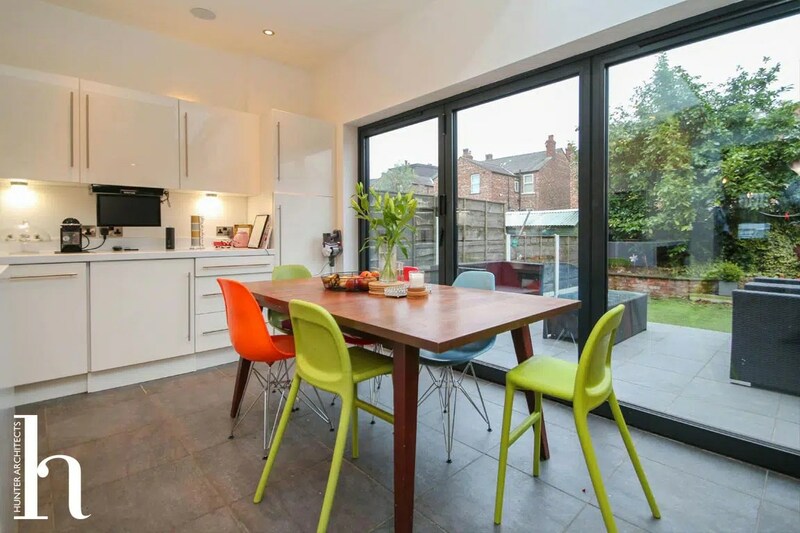 The existing house was a typical Victorian terrace, typical of many properties across the Trafford Council area. 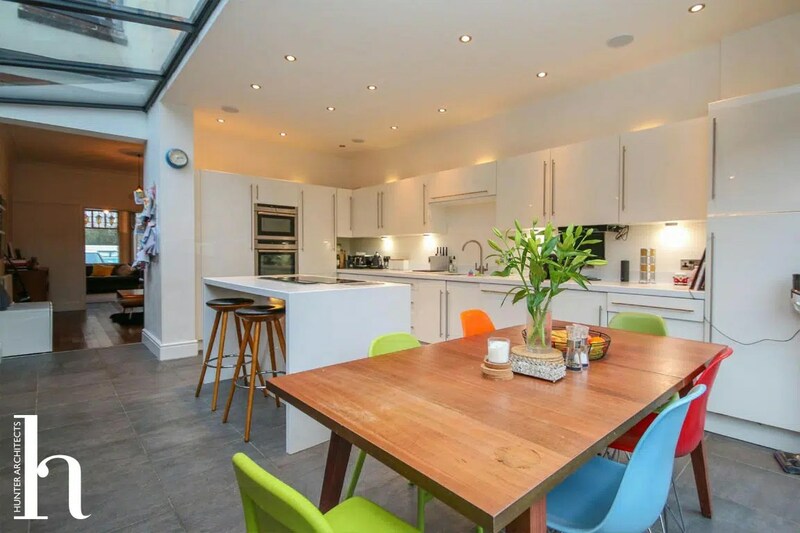 These properties typically have a projecting rear outrigger extension, with a small yard section behind the existing dining room and to the side of the existing kitchen. The existing kitchen is usually very small with only limited views and links to the garden. 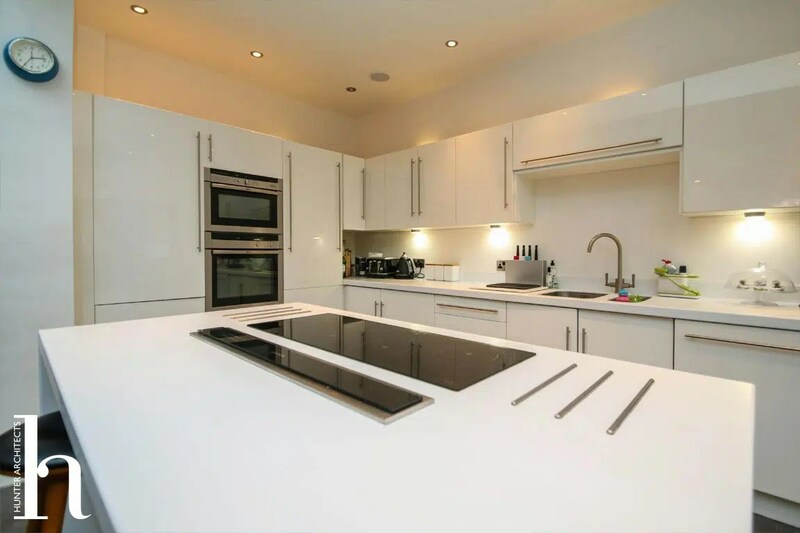 Our clients wanted to create a larger kitchen and family room, utilising and filling in the underused yard section. 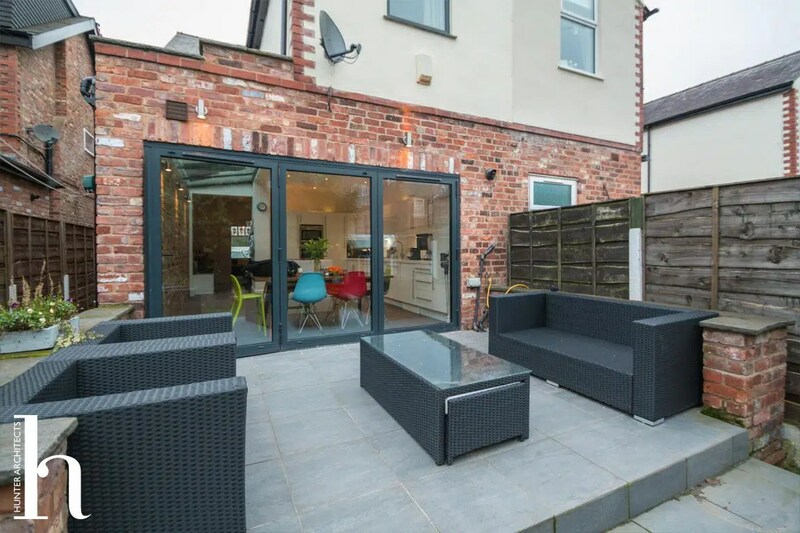 However their neighbours had recently been refused planning permission by Trafford Council for a similar single-storey side/ rear extension and therefore careful consideration, and designs solutions were required, particularly as our client were keen to have a glass roof extension. 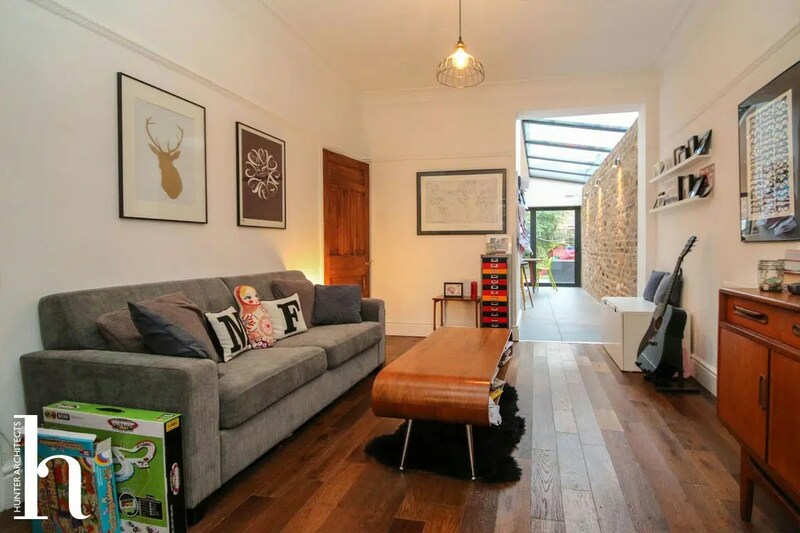 Looking at how the existing house could be reconfigured, how to make the best use of the limited space, how to bring in as much daylight as possible into the new space as well as how to reduce the impact of the extension on the natural light of the existing dining room were a key consideration. 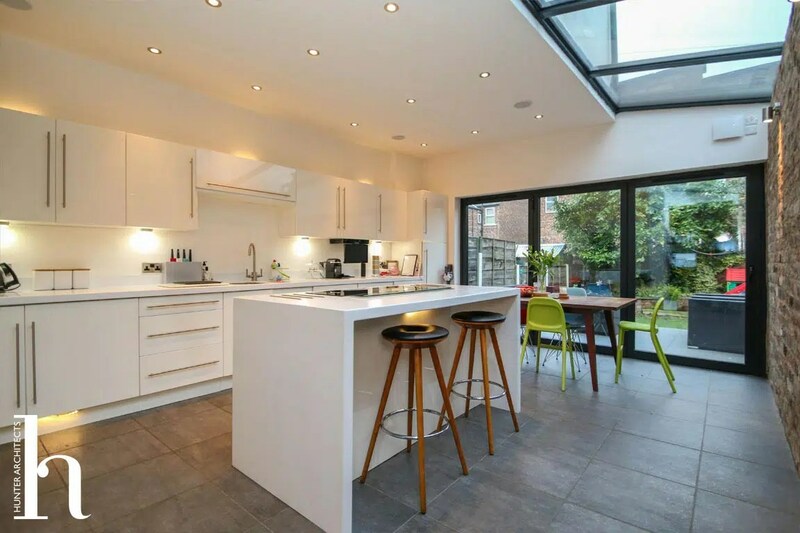 A full glass roof extension was used to maximise the light into the kitchen and dining area while preserving privacy from the neighbouring properties. 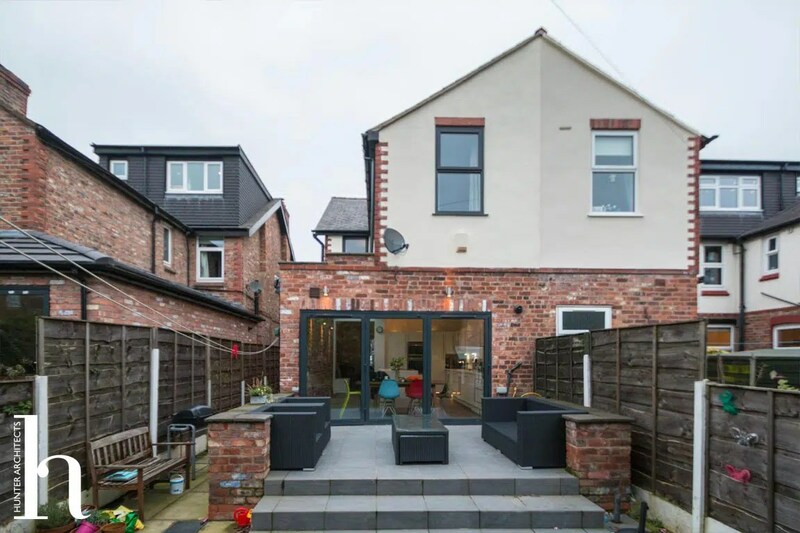 Planning approval was achieved for this glass roof extension even though the Planning Department initially recommended refusal as the house extension did not comply with the Supplementary Planning Guidance Documentation. The substantial amount of glazing, particularly a full glass roof extension, could potentially cause issues from a building regulations perspective, so careful consideration of how the thermal performance of this glass roof extension, as well as the house as a whole, worked was key to obtaining building regulations approval. 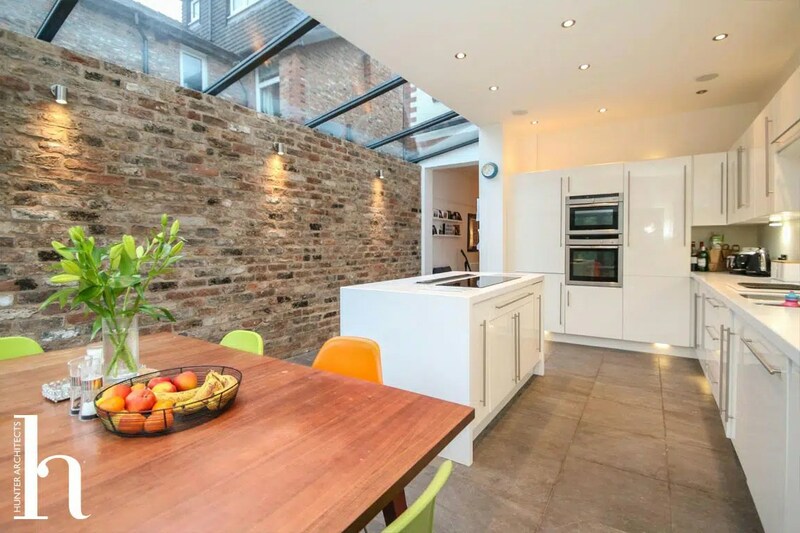 Utilising an exposed brickwork wall to the glass roof extension as well as minimal white kitchen helped to create a contemporary space with lots of character, without making the space feel small or cluttered. 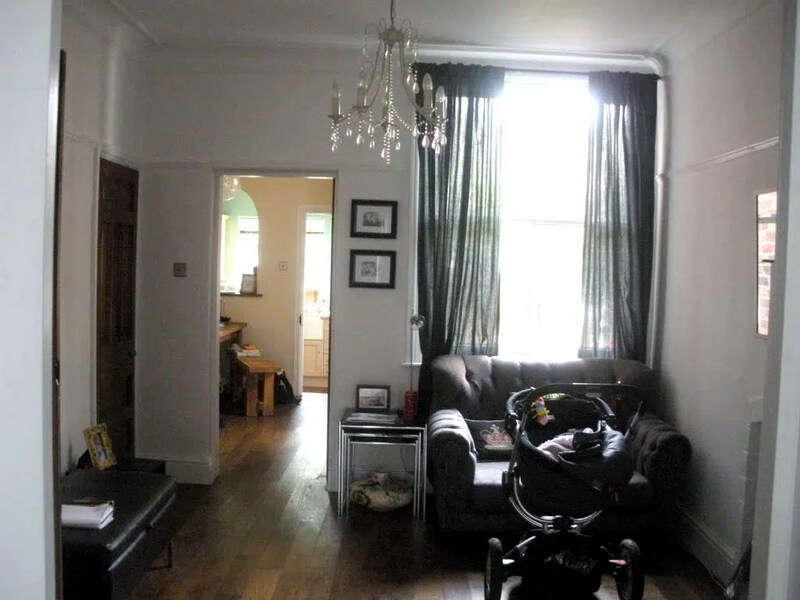 The flow through the house was improved by not having a doorway through to the living room although both spaces retain their sense of identity and function.